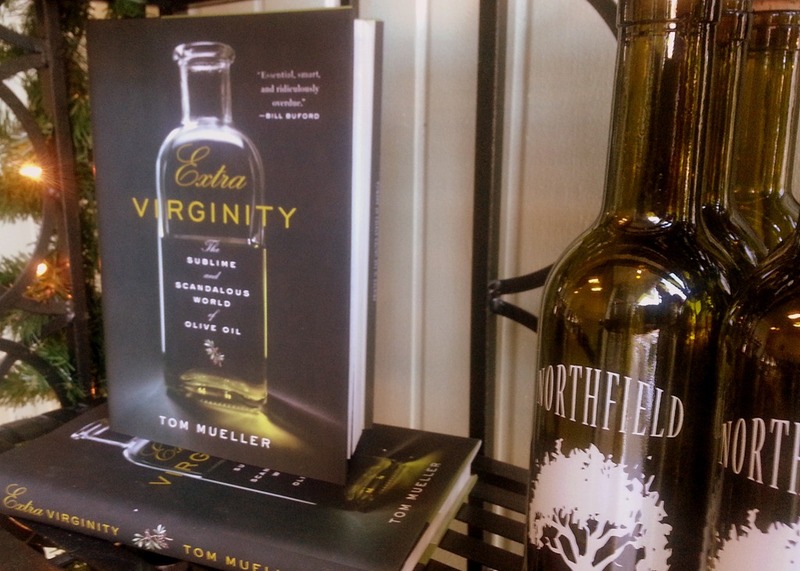 About a month ago, I happened to hear Splendid Table’s Lynne Rossetto Kasper interviewing journalist Tom Mueller about his new book, Extra Virginity: The Sublime and Scandalous World of Olive Oil on her show. 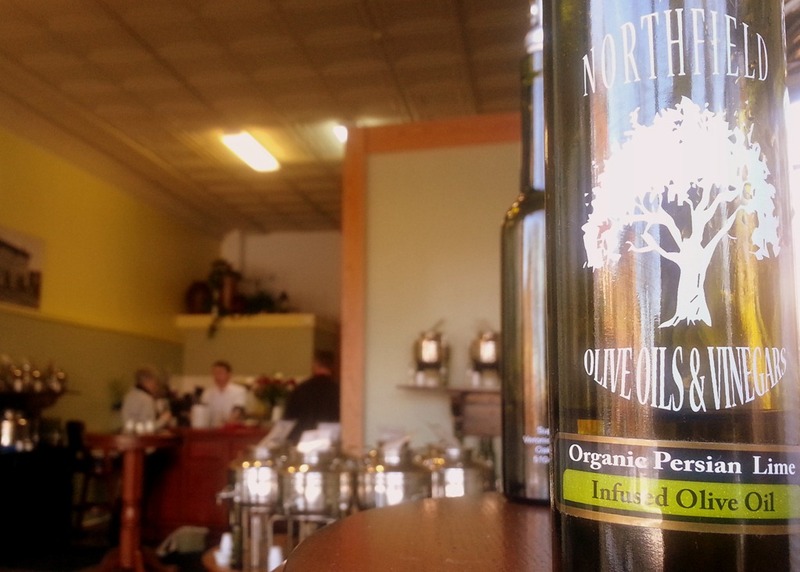 I normally don’t pay much attention to food shows but I knew that Northfield Olive Oils And Vinegars had opened their store in downtown Northfield earlier this year. I’m glad I caught it. 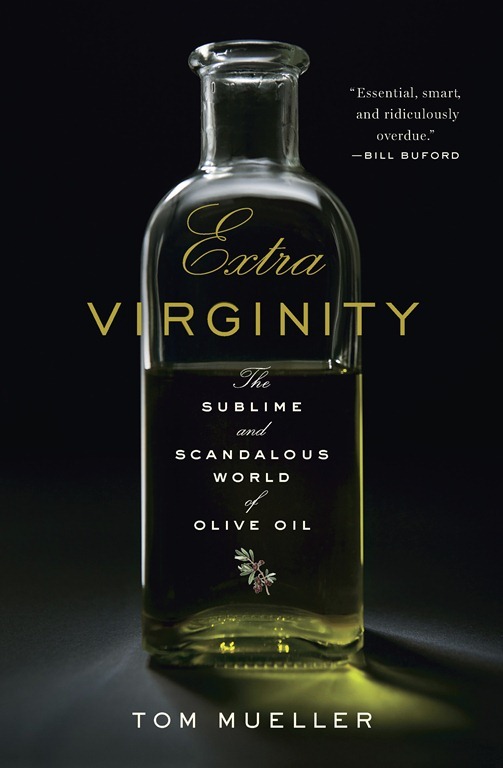 Read or listen if you want a quick lesson on EVOO, both the industry and the product: What extra virgin means, and who in the olive oil industry abides. 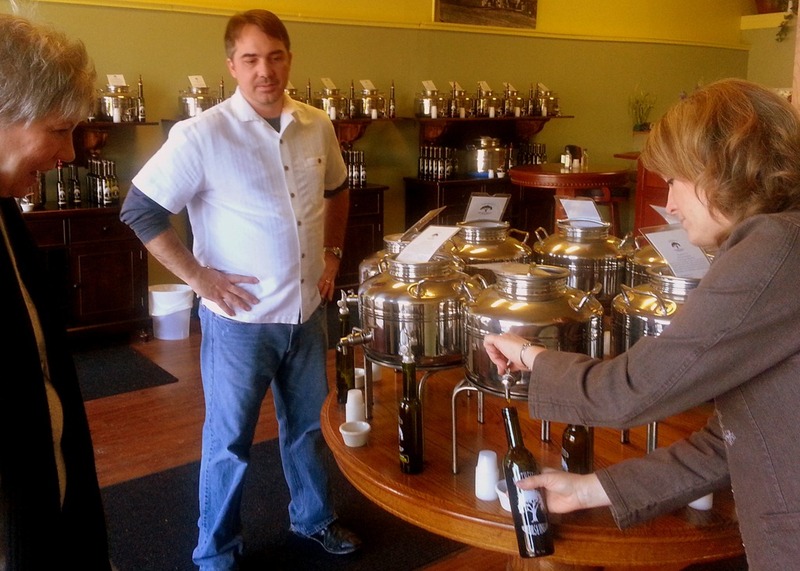 The bar for extra virgin olive oil qualities is fairly low. Apart from some chemical tests, the law essentially says that it has to remind you in odor or in taste of fresh olives, and it can’t have any defects. The typical defects defined by the law are rancidity; fustiness, which is a fermented taste; and earthy, which is dirty olives. Each is connected to a flaw in the oil-making process. The law doesn’t say that it has to have any positive attributes apart from reminding you of olive fruit, so it’s a fairly low bar. Nonetheless, a lot of oils don’t clear it. 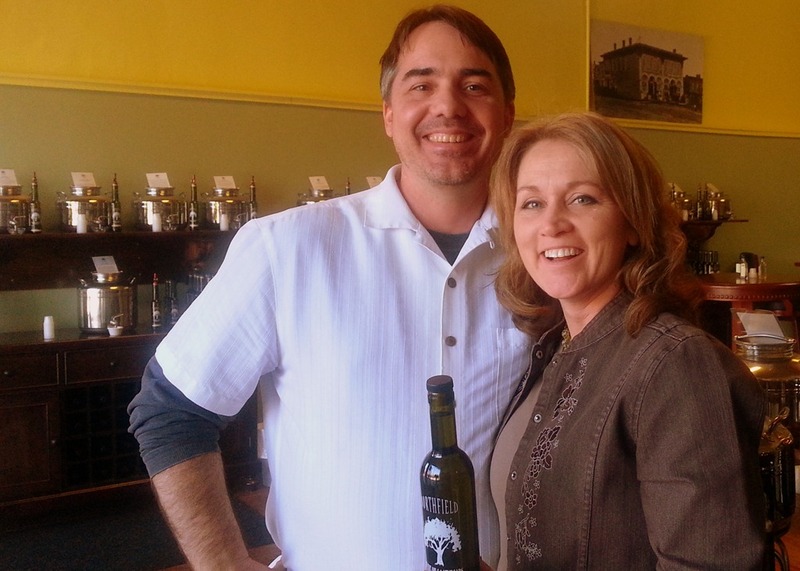 Robbie and I stopped by Northfield Olive Oils And Vinegars on Bridge Square store yesterday and met the owners, Northfielders (10 years) Joe and Sherry Morgan. I used my better-than-before smartphone camera to take a few photos (the store is a visual treat) while Sherry gave my personal-chef-of-a- wife a tour of the store’s offerings. 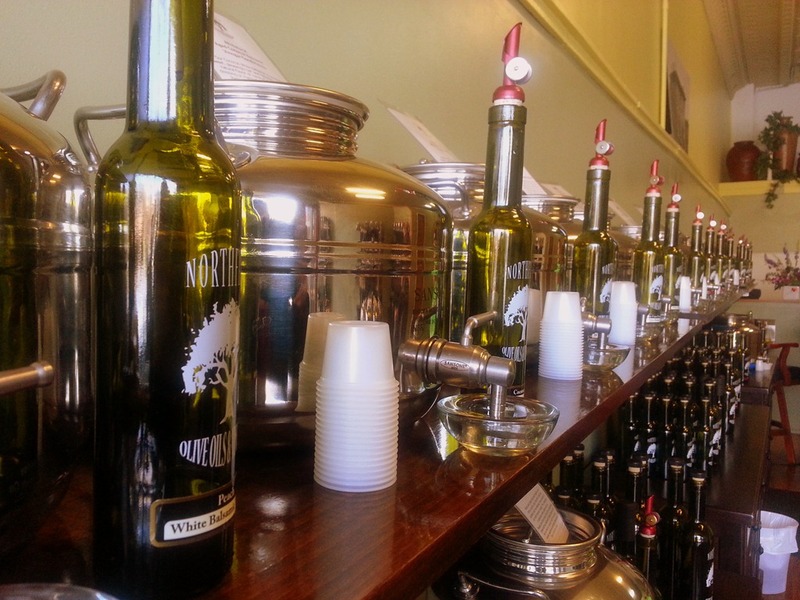 We got a short lesson from Joe on how to properly do an olive oil taste test: swirl, sniff, slurp and swallow. Who knew? We came home with three bottles of something and I expect we’ll be regulars. 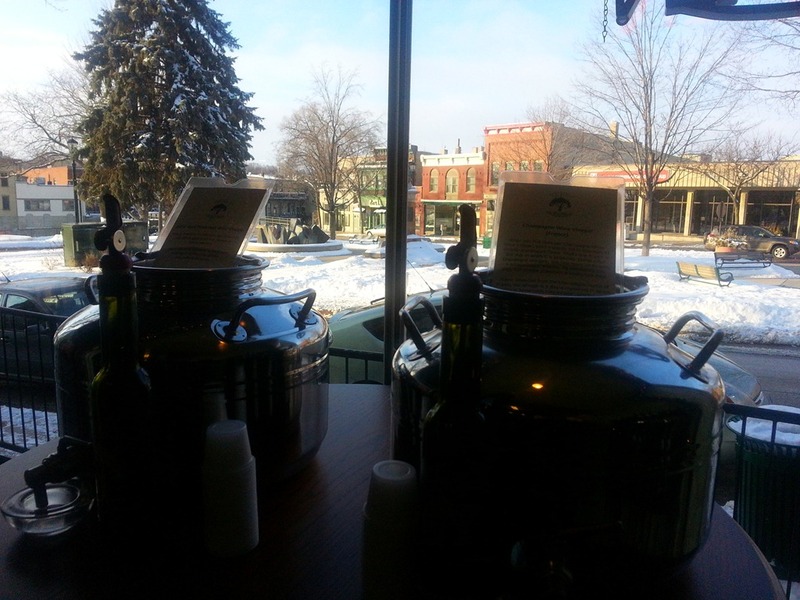 As we were about to depart, Robbie mentioned to Joe that our three sons were foodies and that two of them manage the two Blue Door Pub locations in the Twin Cities. Joe laughed and said that he and Sherry are longtime Sunday regulars at the BDP in St. Paul where they’ve gotten to know our son Graham quite well. 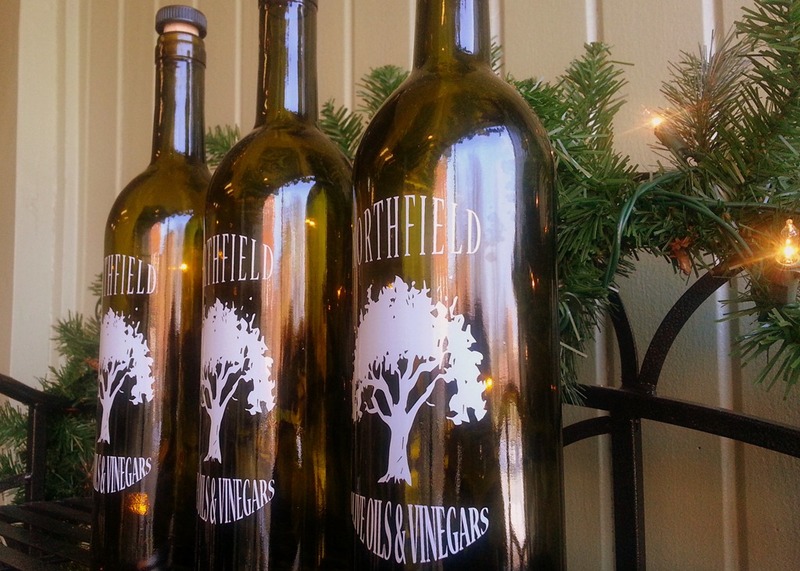 You can follow Northfield Olive Oils And Vinegars on Facebook and on Twitter @NorthfieldOlive. 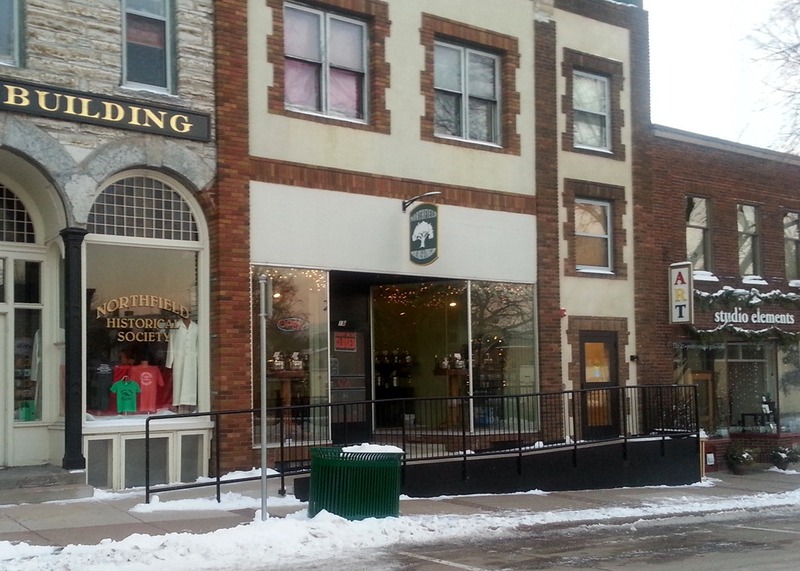 See also the Jan. 4 article on Northfield Patch: Oil and Vinegar Store Opens in Downtown.